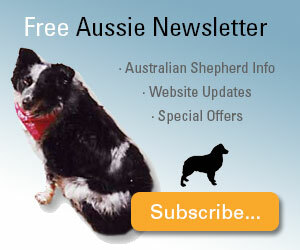 Home > Dog Collars and Harnesses > Why Use A No Pull Dog Harness? A no pull dog harness can be a very effective and humane way of training a dog that is aggressive or reactive on leash. Since pulling or tugging on a leash connected to a traditional collar can cause choking or coughing, it is not recommended by most trainers. Instead, a harness that fits around the chest and has clips on either the chest or back or both, is safer, easier and much less traumatic for both dog and owner. So why the need for no pull harnesses in the first place? It's simple, really. 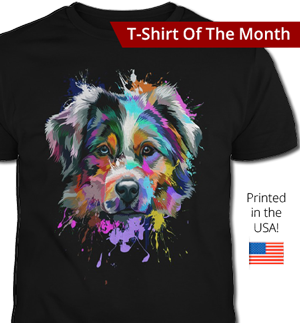 Dogs are used to having the freedom to run around and investigate their territory. 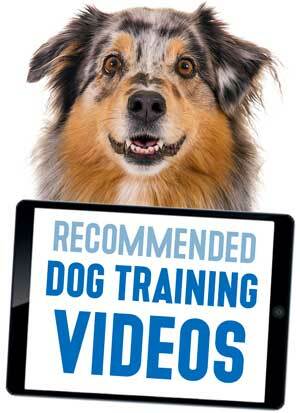 While some dogs may have no problem being restrained, for others it is frustrating and makes them react badly. 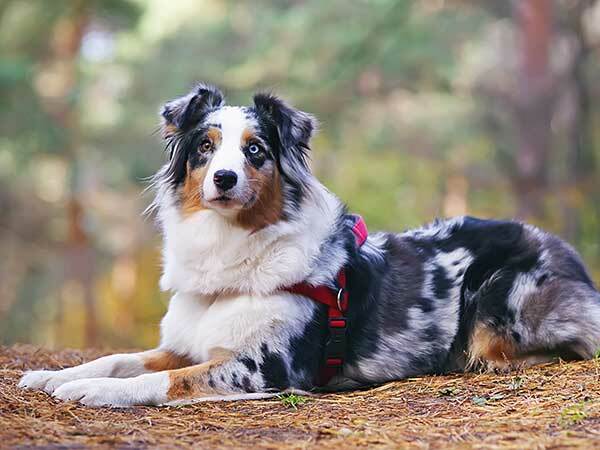 For high energy breeds like the Australian Shepherd, it can be particularly difficult to rein in their natural enthusiasm and so using a dog harness for pulling training can make a big difference. There are three basic kinds of no pull dog harness: back-clipping, chest-lead, and head collars. The type you choose will depend on the size of your dog as well as his attitude. Dogs that aren't prone to pulling on leash usually do best with a back-clipping harness. This is a harness that connects to the leash between the dog's shoulders. By connecting in the back, it takes the pressure off of the dog's neck, which is a highly sensitive area and can prevent coughing or choking. Because they don't offer a tremendous amount of control for the handler, back-clipping harnesses are better suited to calmer dogs and smaller dogs. Larger and more aggressive dogs will not do well with these kinds of no pull dog harnesses, as they can actually stimulate the dog's reactive instinct, making him try to pull more rather than less. A no pull harness can be a great alternative to collars for dogs who tend to strain at the leash. Rabbitgoo Front Range No-Pull Dog Harness. See Amazon for details and customer reviews. Expawlorer Big Dog Soft Reflective No-Pull Harness. 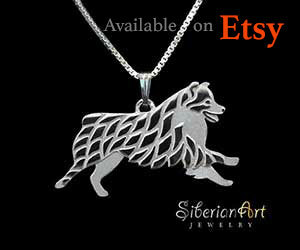 See Amazon for details and customer reviews. 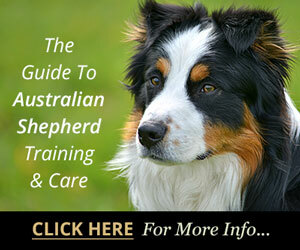 For very active breeds like the Australian Shepherd, a better choice of dog harness for pulling is the chest-lead. This style of harness has both a clip at the back as well as one on a strap that lies across the dog's chest. 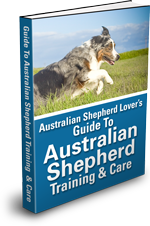 The extra clip provides a secondary control point, allowing the handler to gain more control when the dog becomes reactive or starts to pull. The idea behind this type of no pull dog harness is to hit the dog at its center of gravity, which is located at the chest. This way, when he does begin to pull rather than being rewarded by moving forward toward his goal, he is simply turned around. This provides a gentle way of dissuading him from this type of behavior without causing any sort of harm. For dogs with severe aggression issues, the best type of no pull dog harnesses are head collars. These are collars that combine a traditional piece around the neck with an extra strap that fits around the dog's muzzle. 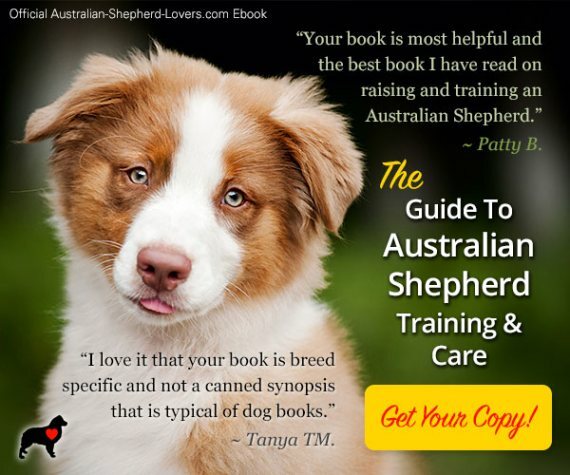 A dog will need to be carefully acclimated to the head collar so that he doesn't panic when you try to use it, but once becomes used to it, it can provide an extra measure of control and be an effective and humane teaching tool. Pulling on the leash can be frustrating and even dangerous for you and your dog, so finding a way to avoid it is very important. 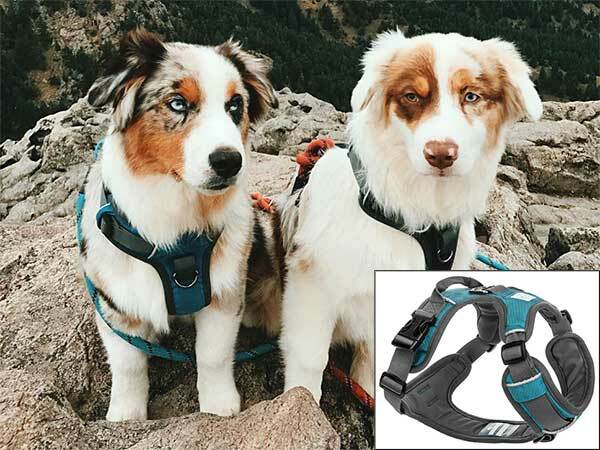 Using a no pull harness may be just the answer you are looking for, so consider all of your options and find something that will help to give you and your best friend peace of mind.